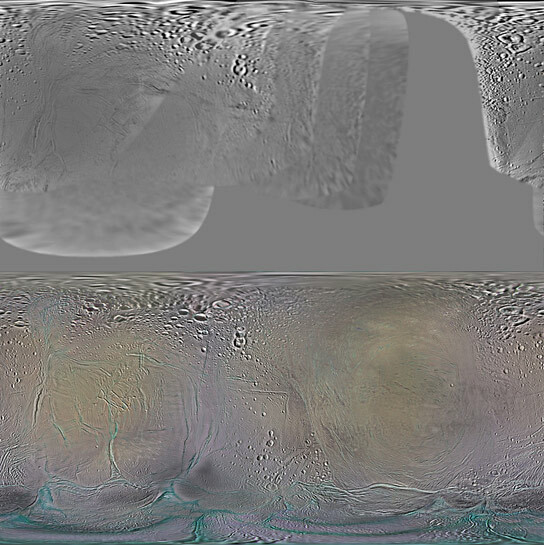 Using data collected over a ten year period, NASA’s Cassini spacecraft has created new maps of Saturn’s six major icy moons. The top image is from Voyager and bottom image is from Cassini. This map of Enceladus shows how 10 years have changed our view of Saturn’s moons. You can view more images at NASA. 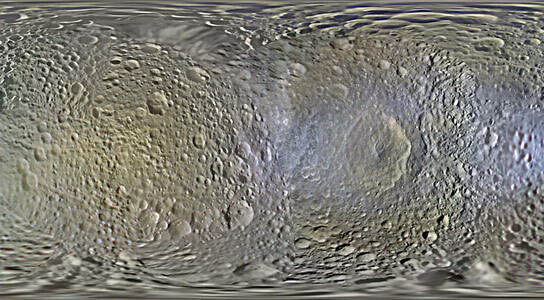 1 Comment on "Cassini Creates New Maps of Saturn’s Moons"